Honda of the Avenues Fit video test drive. The 2019 Honda Fit hatchback expertly balances pleasure and practicality with its stylish blend of comfort and functionality. Honda of the Avenues Ridgeline video test drive. The 2019 Honda Ridgeline offers a versatile combination of mid-size light pickup truck functionality and 5-passenger crossover comfort and convenience. 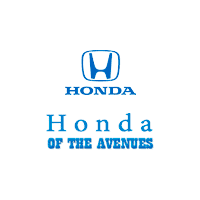 Honda of the Avenues Pilot video test drive. The 2019 Honda Pilot advances on all fronts, offering even more of the stylish looks, refined performance, and sophisticated technology that active families seek in a mid-size SUV. Honda of the Avenues Odyssey video test drive. The 2019 Honda Odyssey validates the practicality of full-size minivans, offering the convenience, safety, and versatility that busy modern families seek. Honda of the Avenues Insight video test drive. The 2019 Honda Insight hybrid puts practicality and refinement at the forefront of its all-new design. 2019 Honda CRV – Honda of the Avenues video test drive. The 2019 Honda CR-V carries forward all the elements that have made the utility vehicle one of America’s most popular compact crossovers. Honda of the Avenues video test drive. The 2019 Honda HR-V takes its smart and spirited personality to a new level with an expanded set of appealing features and technology.